New York Mets: Should fans be worried about Asdrubal Cabrera playing in the World Baseball Classic? 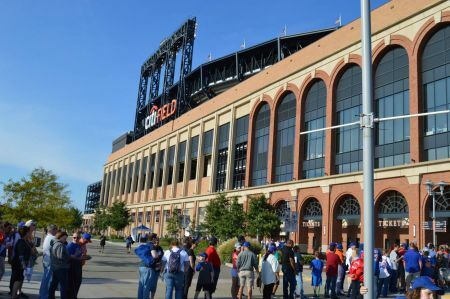 News of Asdrubal Cabrera representing his native country in the 2017 installment of the World Baseball Classic (WBC) may be music to the ears of Venezuelan baseball fans, but should New York Mets supporters be at all concerned by the announcement? It's a difficult question to answer. On one hand, it's great that Cabrera is representing the Mets and the country of Venezuela on the gigantic stage that the WBC has become. In some ways, this situation could elevate the profile of the Mets on an international level. On the other hand, it's questionable that an athlete with bad knees and on the wrong side of 30 has decided to push his body to the limit, competing in a tournament that doesn't matter as far as MLB standings go. New York baseball fans will be biting their nails, hoping the two-time All-Star makes it through the WBC unscathed. Let's be honest: At his age, Cabrera is no spring chicken. It would probably be best for him to take it easy until the start of spring training. The thing is, the 31-year-old navigated through the 2016 season on a balky knee, so most Mets fans probably would prefer for him to get some rest and relaxation over the offseason. He's expected to be a key contributor for New York's offense in the year ahead, and the last thing the Mets can afford is for him to go down with an injury before the season even starts. Cabrera delivered some of the finest stats of his career last season with the Mets, blasting 23 homers and notching a respectable .280 batting average. Can New York afford an injury to the superstar shortstop? Absolutely not. The Mets are expected to be a serious playoff contender this season, but they won't be going anywhere unless Cabrera is healthy for the majority of 2017.